WWI : FRAMED WWI 1914-15 TRIO OF MEDALS WITH SUNDERLAND TRIBUTE CERTIFICATE TO PTE. E. GORMAN, 11TH DURH. L.I. 1914-15 Star to 12518 Pte. E. Gorman, Durh. L.I. 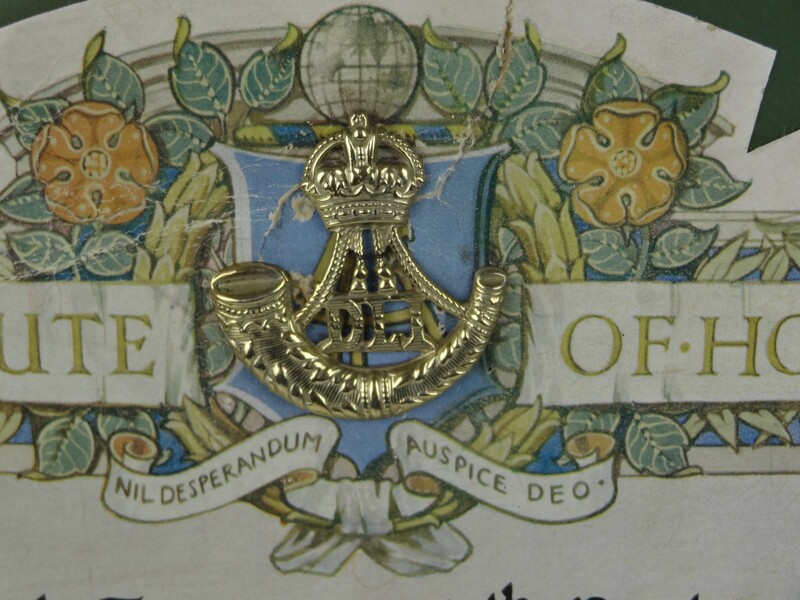 ; WWI War Medal to 12518 Pte. E. Gorman, Durh. L.I. 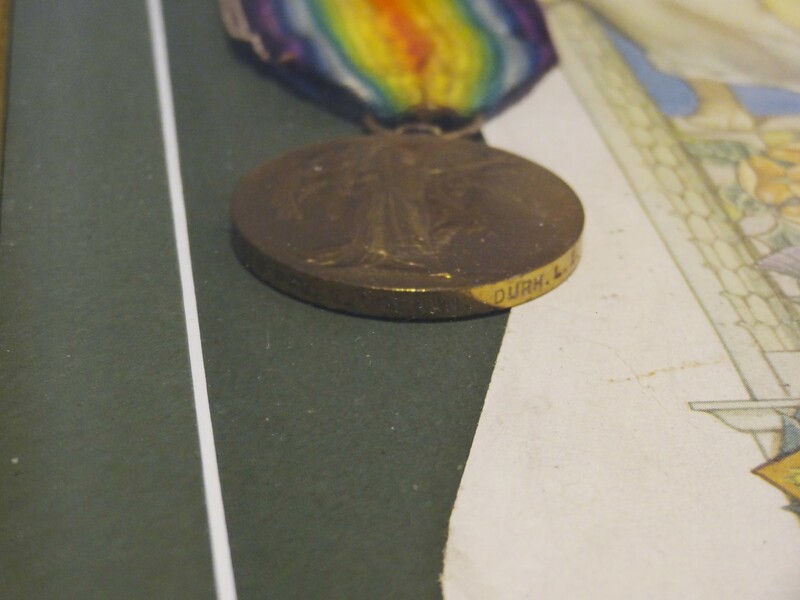 ; WWI Victory Medal to 12518 Pte. E. Gorman, Durh. L.I. 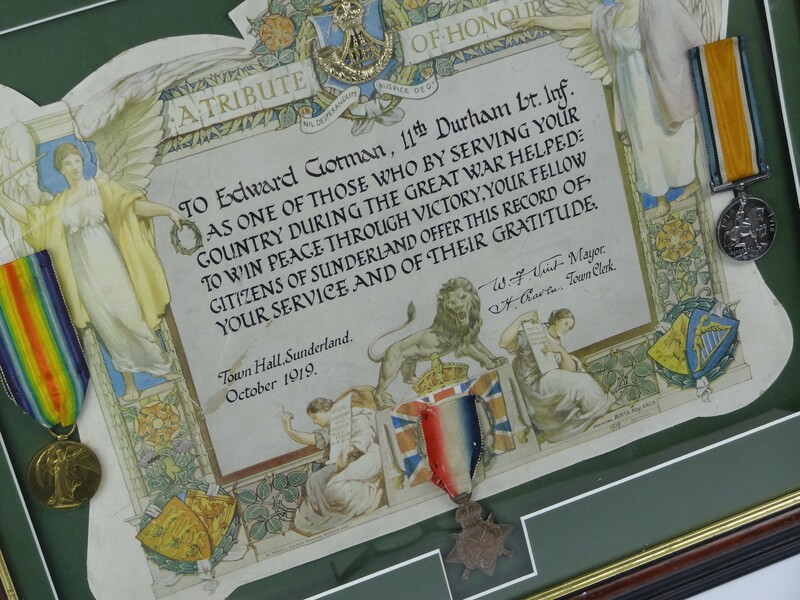 mounted onto 'A Tribute of Honour' Certificate from the Town Hall, Sunderland 1919 'on behalf of the citizens of Sunderland', and housed within a contemporary frame. 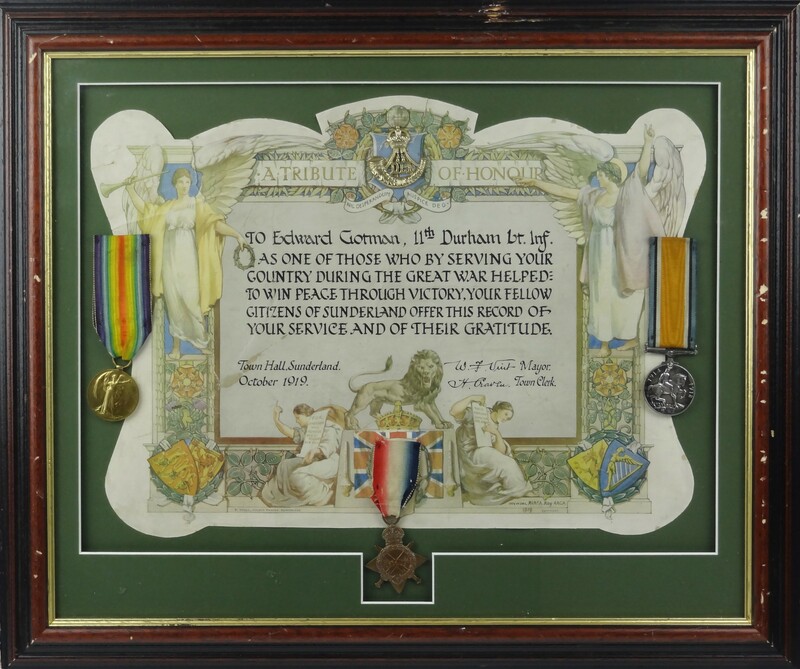 Edward Gorman served with the 11th Battalion, Durham Light Infantry in France from 20 July 1915.